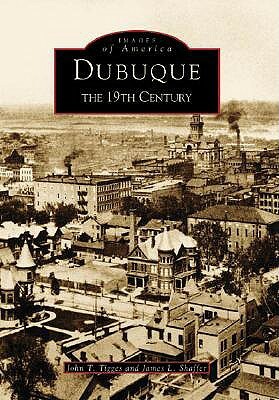 Dubuque, founded in 1833, is the oldest city in Iowa. deposits south of the present city limits, and 20 years later, under the terms of settlement of the Blackhawk War, the area was incorporated and given his name. The tiny settlement quickly grew into a thriving river town, and Dubuque matured as an important shipping center for farm commodities and products of the lead mining industry. The mighty Mississippi River saw the growth of lumber mills on its banks, and fostered trade with surrounding communities. Railroads came to the Hawkeye State from the east in 1855, and rails soon snaked their way north and west along the river, further solidifying the city's reputation as a center of trade. Dubuque's inhabitants have also made it a city of firsts. It is home to the oldest college in the state, boasted the first printing press in the entire Northwest Territory, features the shortest and steepest railway in the world, and published Iowa's first newspaper in 1836.